Original mod and all the hard work by Francesco. I'm simply updating and maintaining this. A long time coming: the new, updated version of Francesco's Creatures and Items Mod. This is very much a beta, however I've played it for many hours and it seems completely stable. NOTE: If at the end of the BAIN installer, the "Finish" button is greyed out and the checkboxes are not visible, you need to expand the installer window (make it bigger) for the checkboxes to show (thanks CorePC). Completely compatible with FCOM, in fact there's an FCOM install option right from within the BAIN installer. Same with MMM. You MUST uninstall the old version of frans before installing this new one. EXE installer has been dropped in favour of a BAIN installer. Don't try to OMOD this, or BadThings will happen. EXE installer removed, BAIN wizard added. Easy install route for FCOM and MMM users. MOBS stats updated to 2.0. Ingame menu removed, INI file added. Outdated options removed, newer alternatives are suggested in the wizard. Tired that nearly all creatures level up with you? 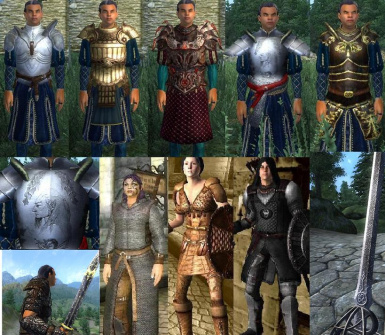 Bored that at level 25 every bandit in the world are god-like enemies with daedric equipment? Then this mod is for you. We think that the game has to be challenging, but that not every fight has to be an epic one. 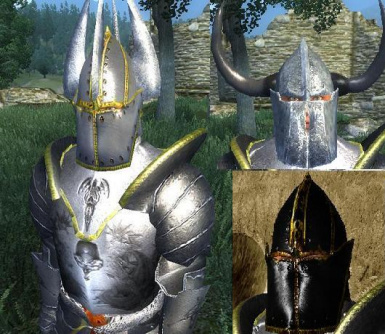 This mod aims to create a more realistic and enjoyable Oblivion experience. It won't make the game easier (although maybe a bit harder depending on what options you choose), just more credible and fun to play. This mod changes nearly all the creature lists to make them more static. Even though you will still find very strong stuff at higher levels, you will often (for example) find normal skeletons and zombies in dungeons, wolves and imps in the wilderness and so on. Not every bandit will level up with you, some of them will be static. 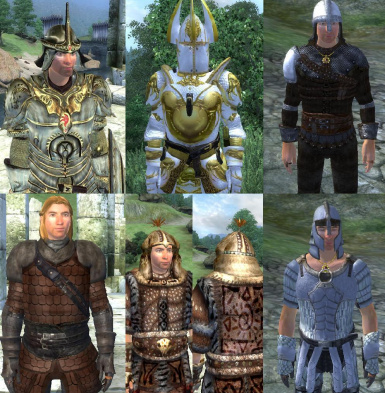 Most leveled item lists have also been changed, in vanilla Oblivion at level 20 you used to find only high level armors and weapons and low-mid stuff nearly disappeared from the game. Now it will be much harder to find higher level equipment, and low-mid level ones will still be common later in the game. One of the strengths of this mod is its modular nature, every part of the mod is optional and you are able to customize it completely to your taste during the installation. The optional parts cover many things like guards (all guards used to keep leveling up with you, so no matter how strong you were they were always a bit stronger than you. Using this part of the mod, while some guards still level up with you, many of them will stop at about levels 15-25. Stronger guards will usually defend more important places/people, for example), vendors (you used to find chainmail/dwarven/mithril/orcish armors and weapons on creatures and NPC loot before seeing their appearance in shops, this made armor/weapons vendors nearly useless after reaching level 6, now you will find those stuff in shops many levels before but at increased prices), new unique enemies/bosses (a small chance to find stronger unique bosses with names and personalized combat styles/loot), more enemies (more creatures/NPCs in dungeons, available in three variants) house/dungeons chests (improved, more interesting, diverse and often more rewarding but still balanced loot), quests (tweaked main and guilds quests to make late quests harder for unexperienced characters, forcing you to level up so you can't become the master of the fighters guild at level 8), arena (later ranks will be much harder for weak characters, so you can't be the grand champion with a low level character) and much, much more. There's also an items add-on which adds a ton of new top quality user made weapons and armors to the loot lists and a creatures add-on adding many quality user made creatures. The BAIN installer makes it easy for you to see exactly what each optional extra does, along with having FCOM and MMM installation options to make installation easy. You can also customise the mod to your liking through the included INI file, which lets you change almost anything in a few clicks.